The State Administrative Tribunal (SAT) in Western Australia deals with a broad range of administrative, commercial and personal matters including human rights, vocational regulation, commercial and civil disputes, and development and resources issues. See the SAT website to view the SAT decisions database and for more information. 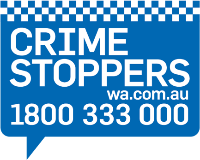 WA Police Force online services and forms including applications and payments.